At this year’s ACHEMA, KSB Service GmbH will present its new service concept based on augmented reality. (Photo: KSB SE & Co KGaA, Frankenthal). 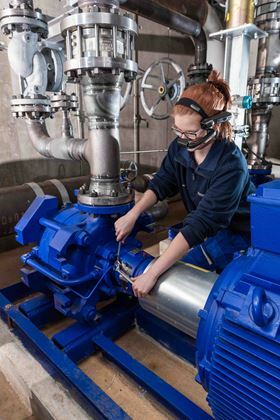 KSB’s new service concept based on augmented reality, the Top 10 pump business news stories of 2017 and our Q1 2018 Mergers & Acquisitions Review were the most popular stories on the World Pumps website in May.